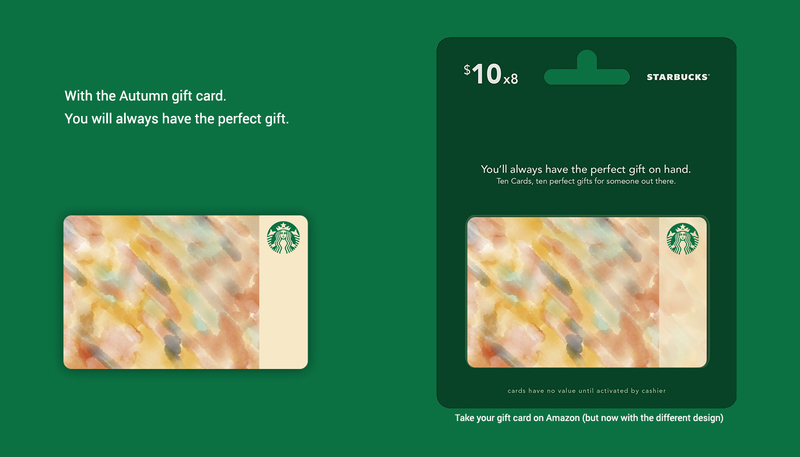 Check this interesting project — Starbucks Autumn Edition. Autumn season is not a reason for melanholy. 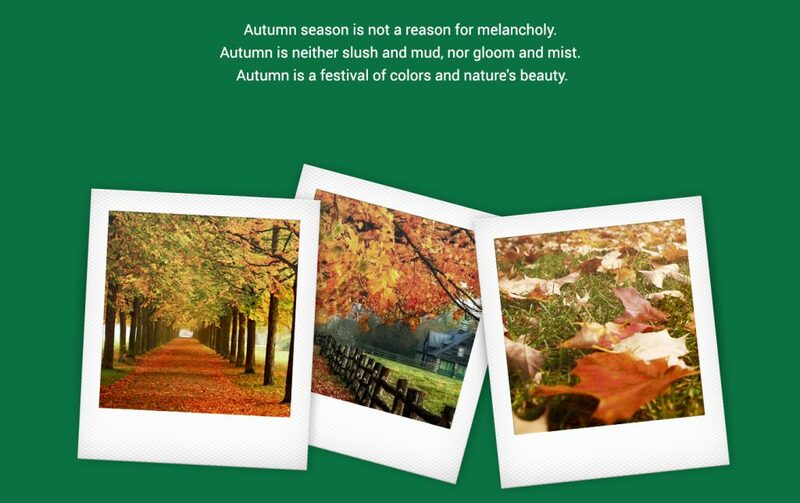 Autumn is heither slush and mud, nor gloom and mist. 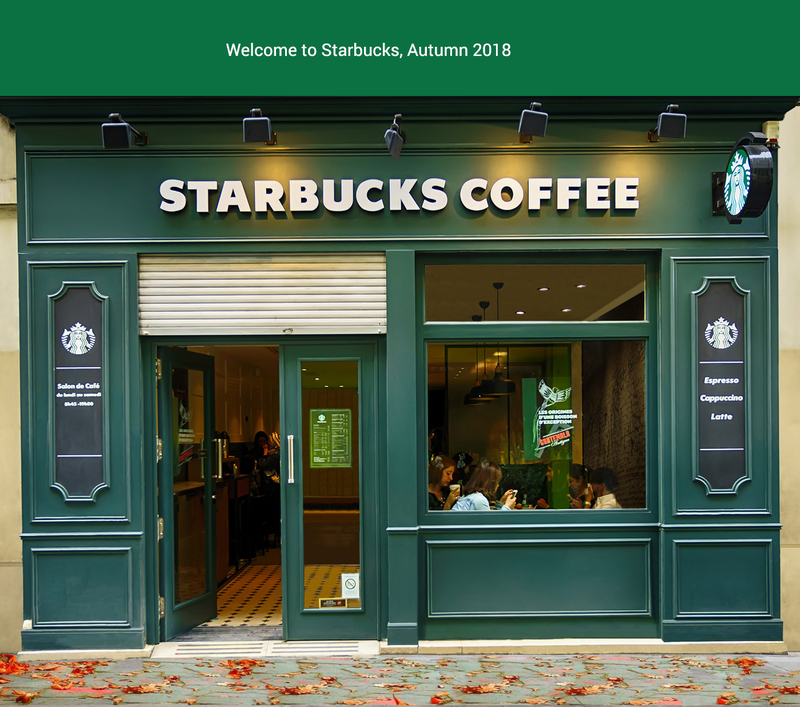 Early Autumn is a beautiful time of year. 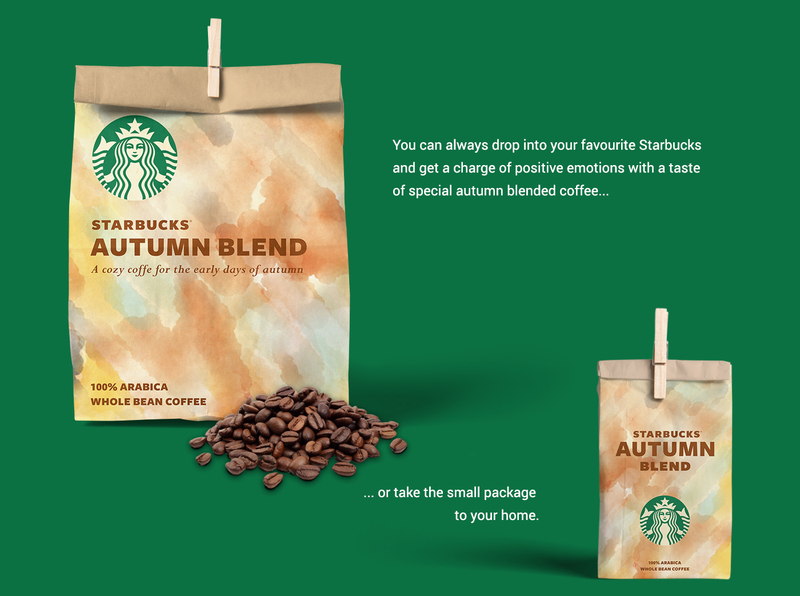 Yellow, orange and red leaves are lying on sidewalks and pavements and forming a multi-colored carpet of palpitation. 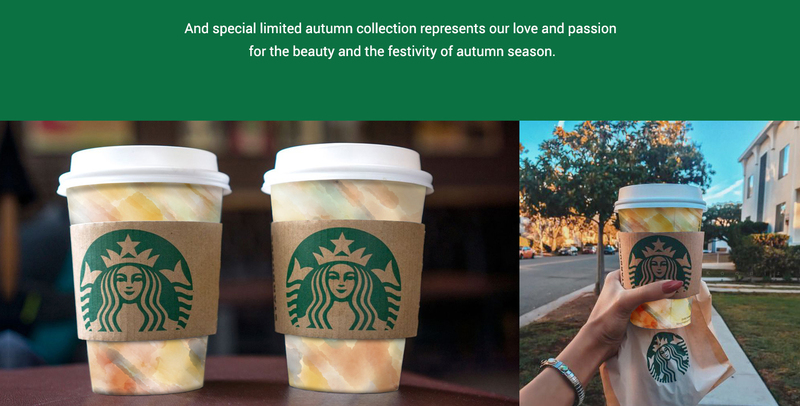 To create very cozy and comfy fall mood we have brought these colors to Starbucks cups.